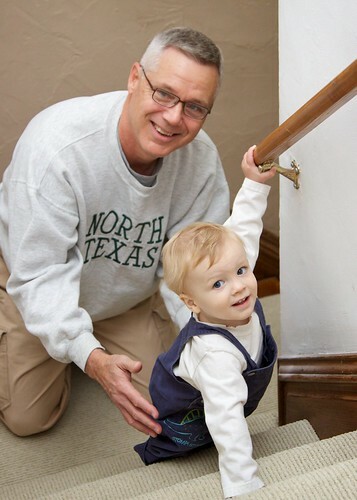 Grandpa Bruce stopped by for a brief visit and I just couldn't wait to show him how to go up stairs. 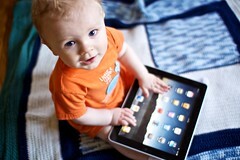 I'm not sure he would have figured it out on his own without my help. 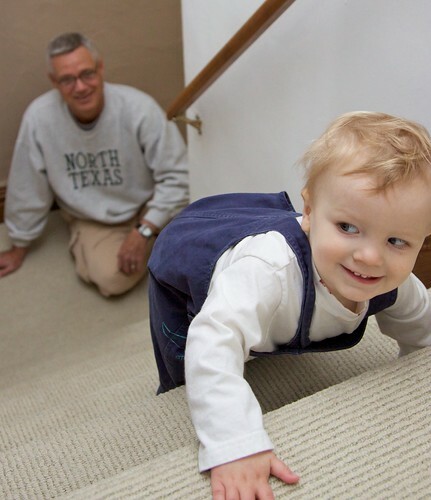 That's so nice of you, William ... it won't be long until Grandpa Bruce can go up the stairs just like you! !